Often used in the customer service, technical support and medical industries, calling queueing systems are a useful way to assist customers during your busiest hours. How Does Call Queuing Work? During non-busy hours, staff can simply pick up the phone to answer calls. At peak call volume, the call queueing system will play a message to callers, letting them know that all associates are currently assisting other customers. Queues are an informative, easy-to-manage system that keep callers informed of their placement in line while helping staff to stay organized and successful during the busiest of operating hours. What Is Displayed on Your Call Queueing System? Vaspian’s call queueing systems provide real-time information that assist organizations in managing calls during high volume periods. 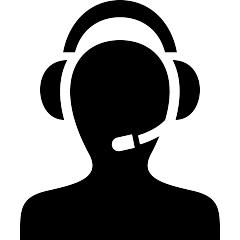 Let our call queueing system keep your staff organized. No longer will your staff have to worry about accidentally leaving a caller on hold, or answering calls out of order. The queue system keeps track of all of this for you! Interested in improving your team’s performance? Metrics like average hold time, abandonment rate and service level are easily viewed from your call queueing dashboard.